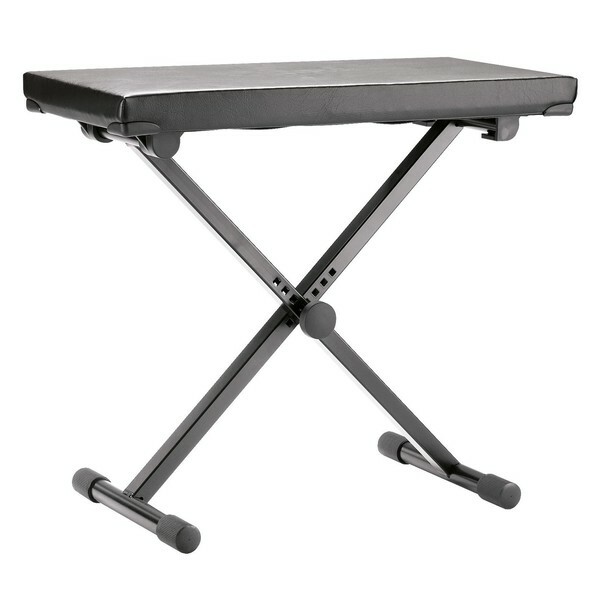 The K&M 14075 Keyboard Bench offers reliability to the student musician. The steel frame is a solid construction that's durable on the road and in a home environment. The x-frame base benefits from screw height adjustments and can be completely flat packed for easy portability. The faux leather cover is comfortable and easy to clean for long lasting use. The 14075 has a wide seat surface for comfortable fitting. This model has a black finish for a classic, smart look.